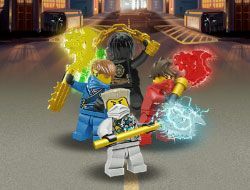 Enter with us in the big Ninjago universe where our friends Sensei Wu, Cole, Jay, Kai, Nya, Zane the Ninjago Ninja will try to defend Lloyd Garmadon and his whole army of evil creatures who want to put the hands of the Ninjago Great Power! The Lego Ninjago Games category was created in 11.02.2016 and from there we added more than 68 games for boys and girls that are interested in gaming online. These games were voted in total 8666 times and the best game from Lego Ninjago Games it's Lego Ninjago Rush. We recommend you to play the latest game added in this category on 18.10.2018 which it's Lego Ninjago In the Dragons Land. If you want Lego Ninjago Games, just click here. We hope all of you are doing just fine, and are waiting to play the newest Lego Ninjago 2018 games from this year. We are like you, and that's why we will take you into Ninjago universe! 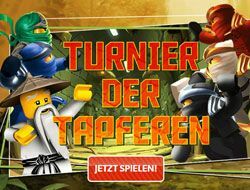 A new lego category game it's about to appear on Friv-Games-Today.com, and it's about Lego Ninjago Games Online know as Master of Spinjitzu too. This show have 5 years this year because Cartoon Network and Lego broadcast from 2011 and they planned to have a great movie lego ninjago in 2017 and a possible part two in the late 2018. One important fact about Ninjago it's that was schedule to be just until 2015 when Lego Chima had to continue the sequence, but the lego team decided to let both lego theme and now we see that lego ninjago will continue at least until 2018, but the lego chima ended in 2015. Here we will get acquainted with some lego ninja that fight with the evil to stop them and to restore the normal life of the people from the villages. They are 6 tuff ninjas, Kai, Cole, Lloyd, Zane, Nya and their master, Sensei Wu who know how to defend the evil forces like Skillkin, Serpentine, Stone Army, Nindroinds, Anacondrai Cultist, Ghost Warriors, Misfortune's Cewu and a lot more monsters and creepy creatures from the Ninjago Universe! 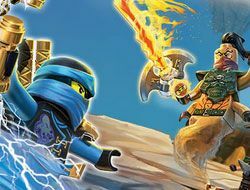 Each day we will have new Lego Ninjago Games online for the players from Friv-Games-Today.com, games like puzzle, memory, coloring, bejeweled, with action, adventure and fights, for boys and girls too. Until now from 2011 we have 6 great seasons where our friend fighted with the evil site. This world was created long time ago by the first Spinjitzu Master using the Four Golde Wepons of Spinjitzu, the scythe of quakes, the nunchucks of lightning, the surikens of ice and the sword of fire. All good and nice but when the first master was too old to handle the whole power he split to his sons, Wu and his older brother Garmadon, but the older brother was bite by the darkness snake and he transformed into the great evil! From that day Garmadon wanted all the ninjago wepons just for him to manage all the power and to be the greatest ninja of all time, but in the bad sense. Garmadon was sent to Underground and there he finds a new alliate Samukai with werewith manage to fight agains Wu until the new Sensei Wu gathered in the first 4 ninja, Kay, Jay, Cole and Zane and lerns them the art of Ninjago. 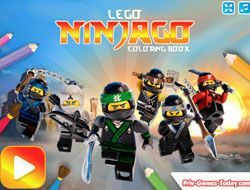 All the games form Lego Ninjago Games are for the friv players because we take sure that you wil lhave the time of your life on our site full of ninjago games, like you love. In the pilote episodes Ninjago ninjas manage to take down Garmadon but he insured that in one day he will be back! In the first season named Lego Ninjago: Rise of The Snakes released in 2012 the ninjas returned in their hometowns and live a normal life happy that the war it's over, but unfurtunatlly the big Lord Garmadon, Lloyd Garmadon and Serpentine tribes attack the four fighters, Kai, Cole, Zone and Jay. One of the best tv shows for kids it's from Cartoon Network and it's called Lego Ninjago - Masters of Spinjitzu Master of Spinjitzu Year of the Snake. 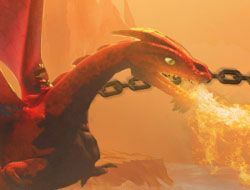 The next Season it's called Lego Ninjago Rise of The Spinjitzu Master and it's released in 2013 and it's about the fight between Devourer and the Ninjago team. Now the evil team have more helps from the Island of Darkness so in the gmaes from Lego Ninjago Games 2016 you will need to help them to finish one for ever with them! My favorite season it's number 3 released in 2014, named Lego Ninjago Rebooted where we see that Overlord was defeted and our friends, Kai, Cole, Jay and Zane become teachers in the Sensei Wu Youth Academy so in this season we will see new ninjas in the fight and new villians. 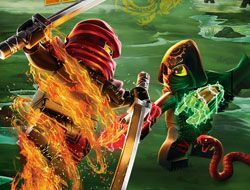 The season 4 named Lego Ninjago Rise of The Anacondrai will come with a bad news about our frineds because we see that Zane it's gone in a horrible fight with the greate Garmadon. Here we have a new enemy named Chen who try to steal the Elemental Master's Power from Anacondrai but the ninjago fighters are there to stop him. We will try to have a lot of games in Lego Ninjago Games for the players like you because we know that you love these games. 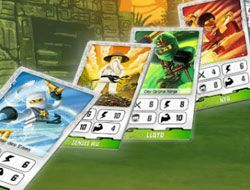 Stay tunned for more informations about Lego Ninjago 2016! 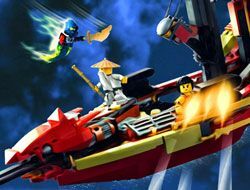 Continuing we are at season 5 named Lego Ninjago Possession that was released in 2015 where our friends are trying to defeat Ninjago City after Lloyd try to destroy it! The last season it's named Lego Ninjago Skybound and it's released in 2016 where Cole will reach a new power so he will become the next Spinjitzu Master and one of the bests. The whole team will travel ti Stiix. The next seson, Lego Ninjago season 7 it's programated to release in 2016 but we don't know more about it. 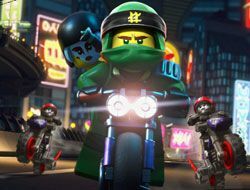 Until now we have just online games in Lego Ninjago Games, but in 2017 we will have the first Lego Ninjago Movie that will be released in September and i'm very exicited about it! 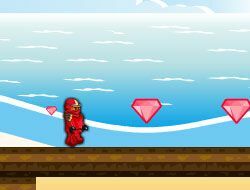 We will try in the weeks that are coming to make a contest and the winner will get a Spinjitzu or Airijitzu game. Over the time the Ninjago had some different ninja variants and in the continues we will present them to you, so, the first variant was Ninja Trainee followed by DX Ninja, Kendo Ninja, ZX Ninja, NRG Ninja, Kimono, Techno, Zukin, Deepstone, Skybound (airijitzu). In the continues we will present all the characters from the Lego Ninjago Cartoon Network shows startnig with Sensei Wu, Cole, Jay, Kai, Nya, Zane, Lloyd Garmadon, Sensei Garmadon, continued with Skulkin: Bonezai, Chopov, Frakjaw, Krazi, Kruncha, Wyplash, Nuckal, Smukai. The next team it's Serpentine with Pythor, Arcturus, Chop'rai, Kapau'rai, Fangtom, Skales, Skalidor, Acidicus, The Great Devorer. The Stone Army: overlord, General Kozu, Stone Swordsman, Stone Scout and Stone Warrior. We have Nindroids, Anacondrai Cultists like Master Chen, Zugu, Skylor, and Ghots Warriros like Morror, Wrayth, Bansha, Ghoultar and of course one of the eviliest Sky Pirates like Nadakhan, Clancee, Cyren and others. He have a big list of games with Ninjago, but one of the bests games are of course the followings: Lego Ninjago Shadow of Ronin, Final Battle, Tournaments of Elements, Rebooted, Skybound, Rush and Possession. Of course we have a lot of videgames too for PC and consoles like LEGO Battles: Ninjago, Dimensions, Nindroids, Rebooted Game, Viper Smash, Smash DX, Snakedown, Spinjitzu Scavenger Hunt, and others. 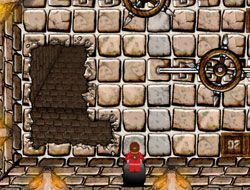 In the final we hope that you will engoy playing on Friv-Games-Today.com the newst friv lego games from the newst category Lego Ninjago Games! Have fun my friends!